Most racing games either have you driving a car or managing a team of racers. 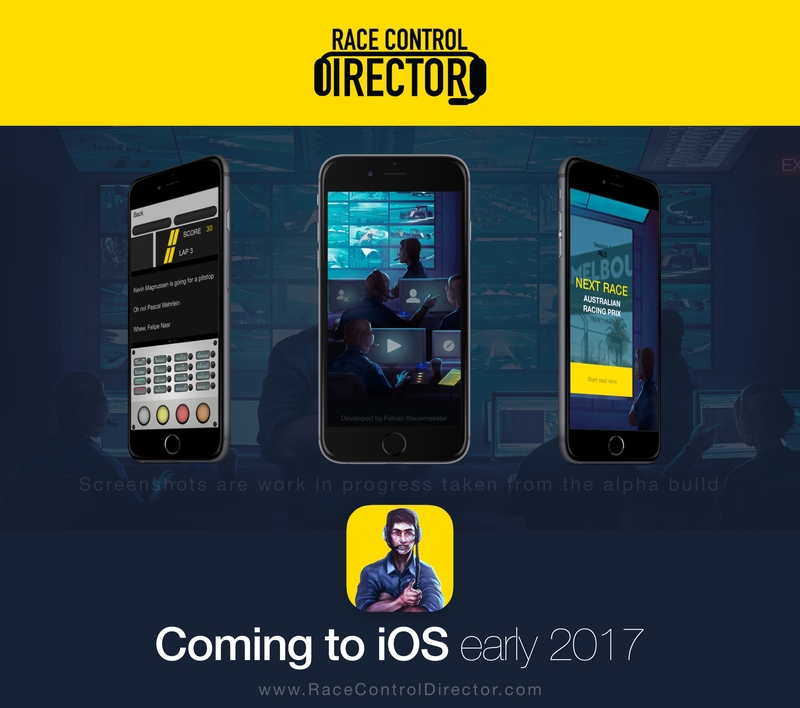 The upcoming Race Control Director is putting you in a very different pair of shoes, those of the person ensuring that racing goes smoothly. If you don’t know what the role of a race control director is, he’s the person you don’t usually see or hear about (although many know F1’s Charlie Whiting) but without him, the whole race would end in a nice collection of crashed cars on one side of the race track. Race Control Director is a text-based game that has you making all the decisions necessary to keep the race flowing. You can pull out a yellow flag if there’s an incident on track (like an off-the-track moment or a dumb tourist strolling across the track), send out the safety car for bigger incidents, and, of course, punish all the drivers who don’t agree with your benevolent dictatorship. The game will be playable with one hand and will offer a career mode – where you move between leagues – multiple scenarios, team car radios, and even the ability to edit drivers’ names for that extra dose of hilarity. The game will be a paid app, and you can go to our forums right now and apply to get into the beta.